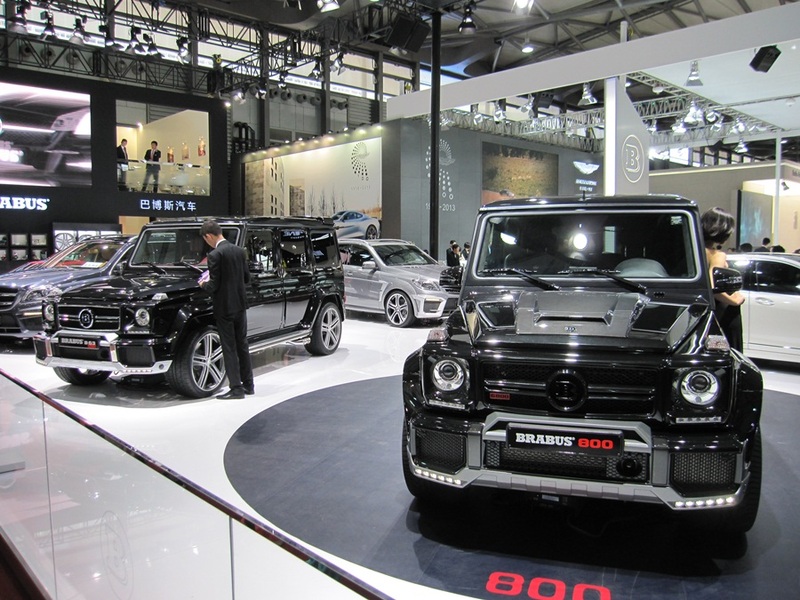 Since 2009, China has been the world’s largest car market and what better place to experience China’s auto industry than to visit the Shanghai Auto show in all its glory. 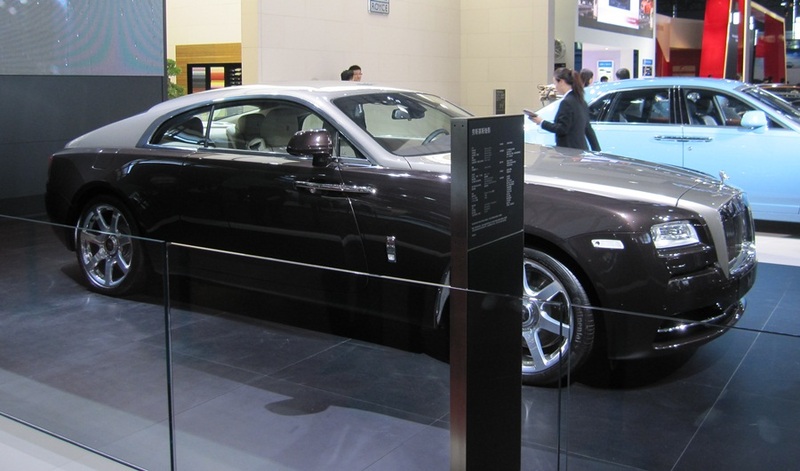 Last week, RedlineNorth had the incredible opportunity to attend China’s largest auto show and it did not disappoint. 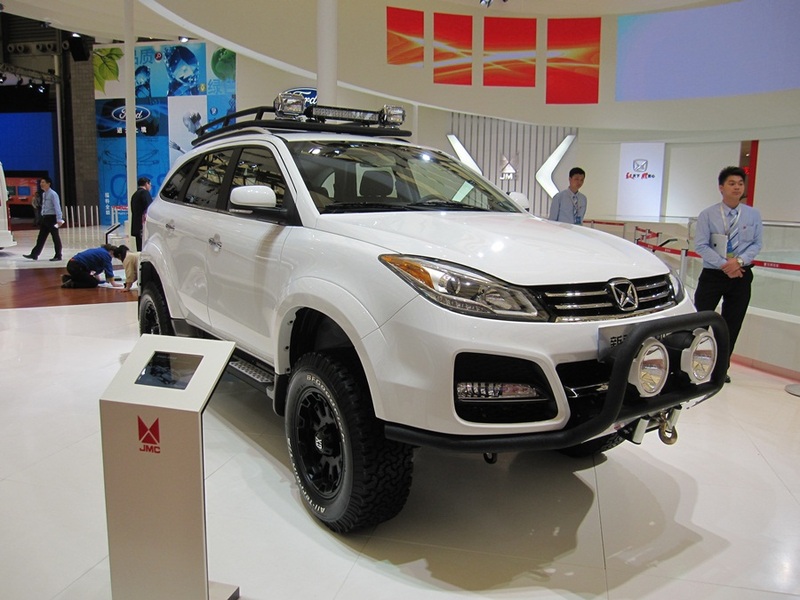 Gone are the days when Chinese consumers mostly purchased fuel sipping compacts and subcompacts as their preferences have now shifted towards more luxurious and larger models including the ever popular SUV. Sure does look like a Jeep Rubicon? Here in North America we still do not fully know what to expect with the Chinese built models so it was extra interesting to see them up close. We were impressed with the wide variety of Chinese made products and the overall quality of their fit and finish. In recent years, there has been wide criticism from some non-Chinese manufacturers that several of the domestic Chinese models look very similar to their models. 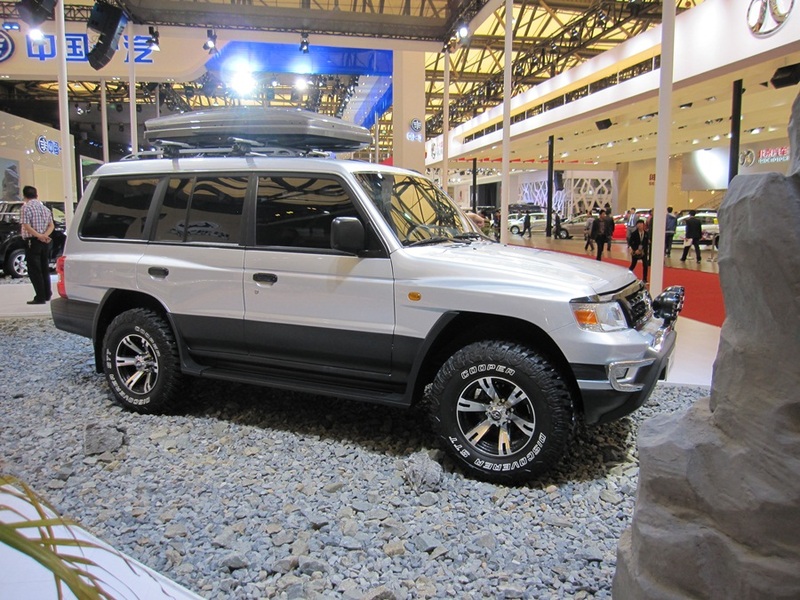 At the show, we did see several examples that would likely fall into this category such as the above image of a Chinese made “Jeep” styled 4×4. 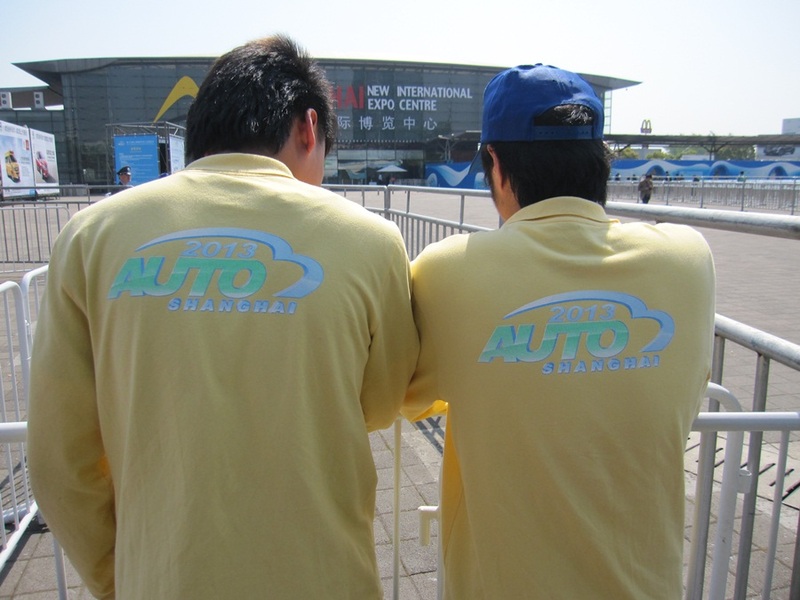 And yes, documenting the Shanghai Auto show would not be complete if we did not include some shots of the show’s models. It certainly takes a bit getting use to since the models are serious about their posing and do not leave the car’s side which for a car photographer is a bit of a pain nevertheless that’s the way it is. 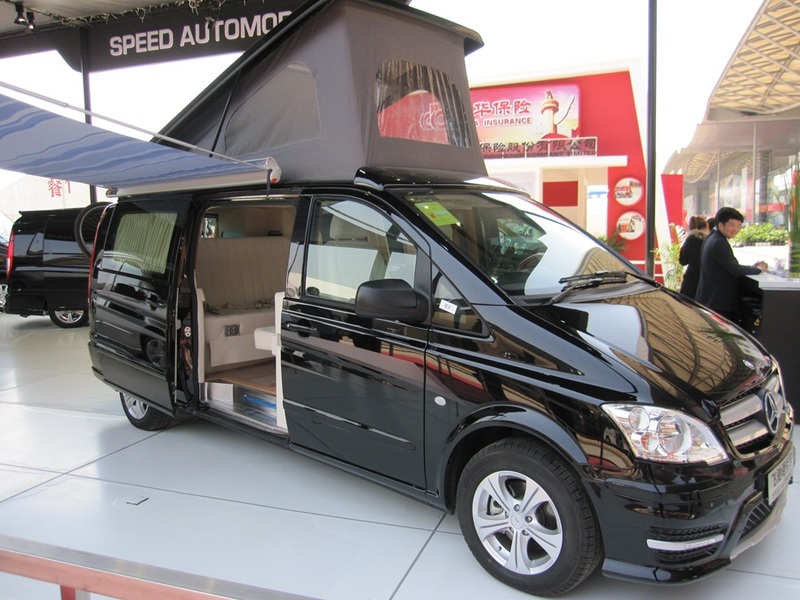 Both camper style and conversion vans are becoming popular in the Chinese market since there is a serious desire to hit the roads and travel around their country like we do here in the West. 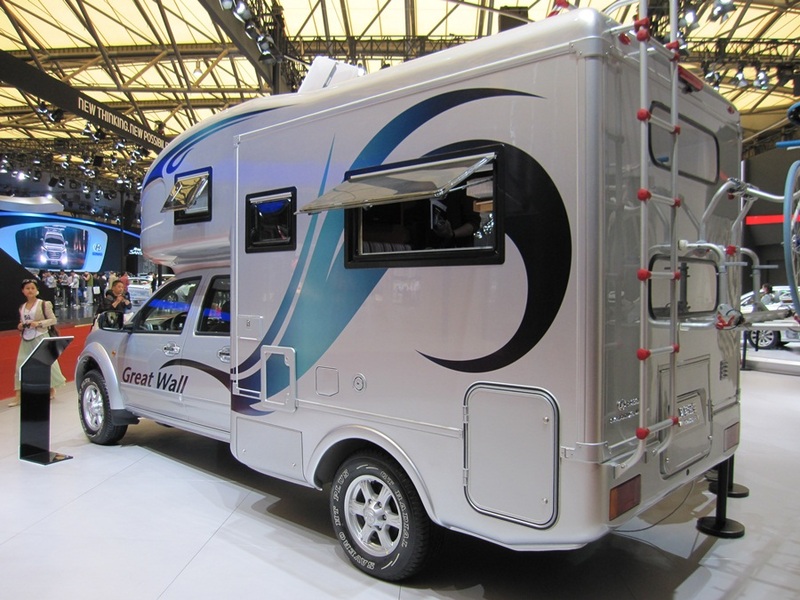 With so much new infrastructure of modern roads and highways built over the last decade, RV’ing is now a reality in China. I can only imagine what the roads look like on their long weekends…. 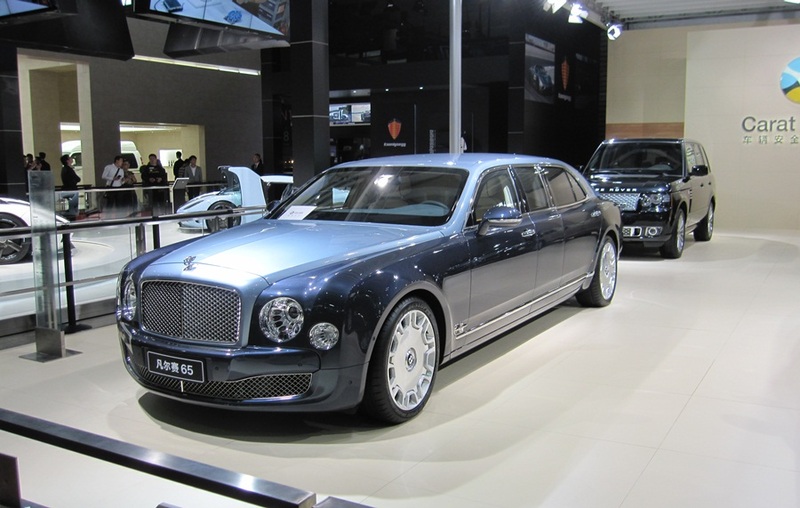 And let’s not forget the luxury brands of which China is now the world’s largest consumer. 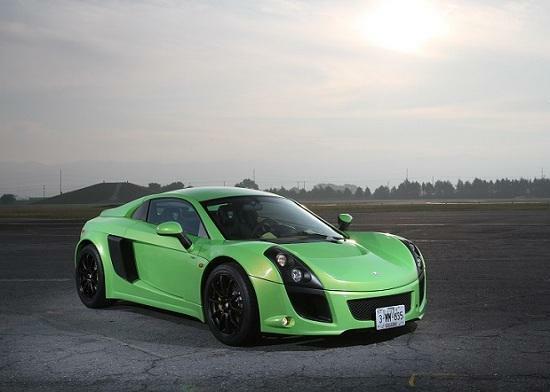 Here’s a glimpse of some purpose-built machines that would even get rap superstar “Drake’s” entourage excited. Of course, these ones are never coming to North America as they are destined for China’s “nouveau riche” super elite class. Unfortunately, with all these new vehicles hitting the road, China’s oil import bill is ballooning to record levels along with its traffic congestion and air pollution. In fact, earlier this year in Beijing and Shanghai overall air quality hit record unsafe levels never seen historically. Throughout China, there is still an ongoing debate on this topic since many experts say the air pollution stems from industry and power plants that burn fossil fuels such as coal and not actually from its gasoline cars. Nevertheless having experienced Shanghai first hand, it makes you wonder if this torrid pace can be sustained and what the long-term impact is going to be on China’s environment. 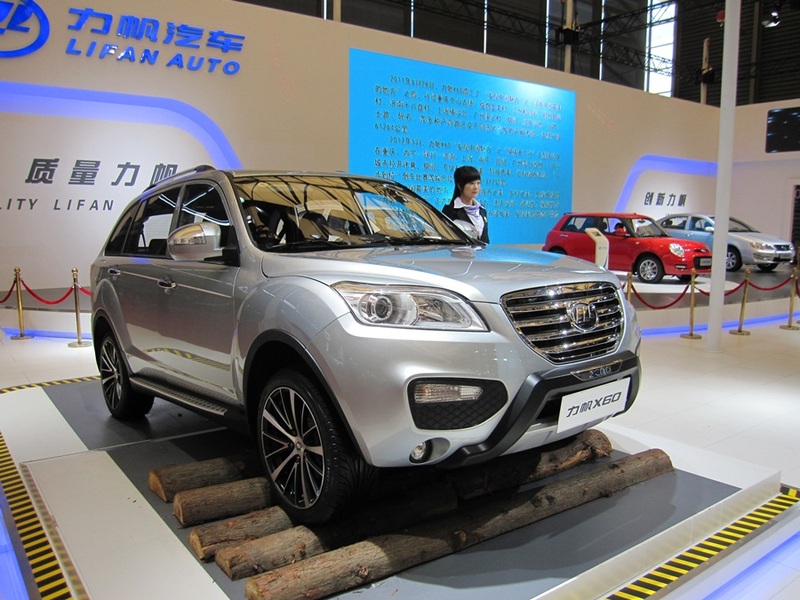 Be sure to check out our second segment on the Shanghai Auto show in the coming days. A Font Made By A Car? While there are thousands of fonts available for download and use on your computer, you may not have heard about a font created by a car. A few years ago two typographers, Pierre & Damien, and a pro race pilot (Stef van Campenhoudt) collaborated to design a font with a car, the Toyota iQ. The following video shows a behind the scenes look at how they did this and then after the video an example of what the resulting font looks like. It looks kind of like a modern cursive style to us. Considering how it was made it’s pretty good! Ken Block is featured in a new GoPro video camera ad barreling through a forest in Potosi, MO as part of his preseason training. For those not familiar with rally car racing you can see just how close drivers come to hitting trees and other obstacles in the off road course. That’s where driver skill and co-driver navigation are critical, something that Ken and is co-driver Alex Gelsomino have in spades. Enjoy. For more Ken Block check out his previous Gymkhana videos, here and here. For all you aspiring film makers or photographers out there, RedlineNorth came across this video made by Vimeo Video School and Neko Neko Films on how to use your vehicle to get better shots. From using your car to get a tracking shot, chasing shot, or even a pseudo helicopter shot, the video goes into all the different effects you can get using your vehicle. You don’t need a professional camera either to use these techniques. All in all a pretty cool instructional video. 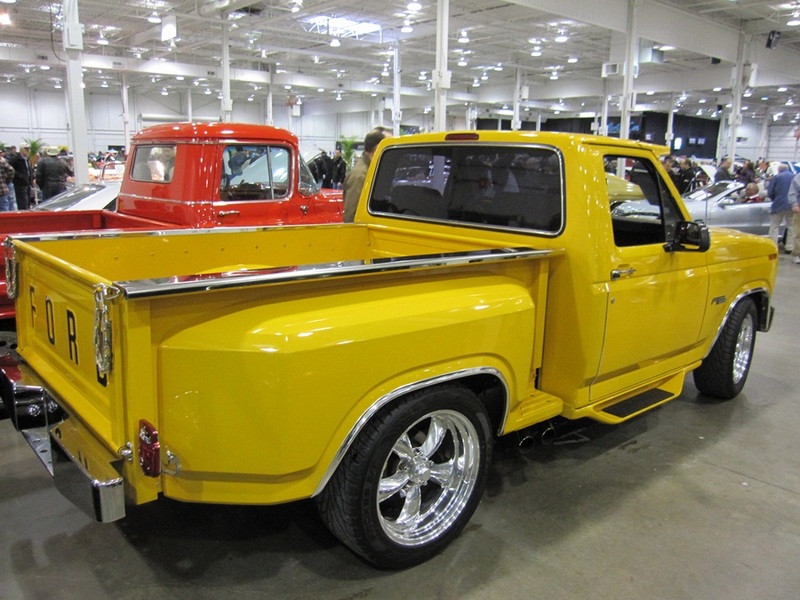 On Saturday, we headed over to the International Centre to catch the Toronto Spring Classic Car Auction. 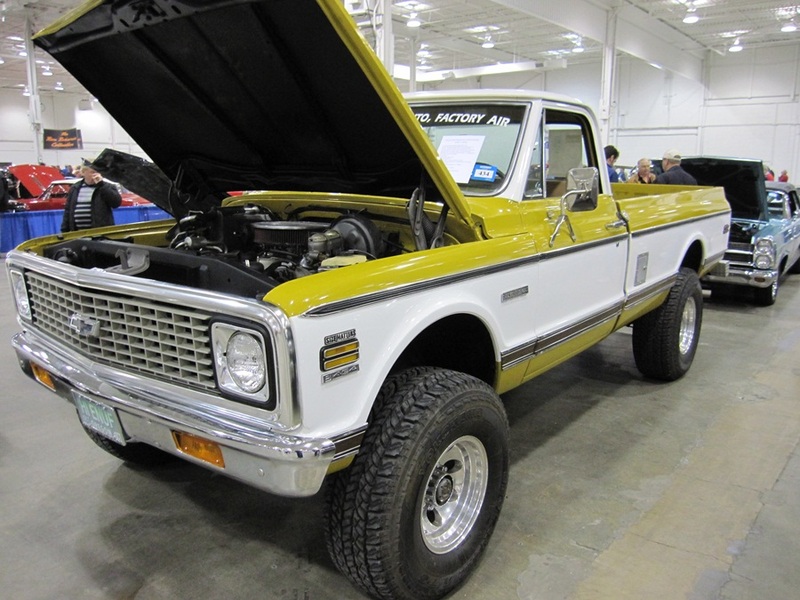 As always, this event offers a range of classics being sold including; trucks, cars, convertibles, race cars, sedans and sports cars. 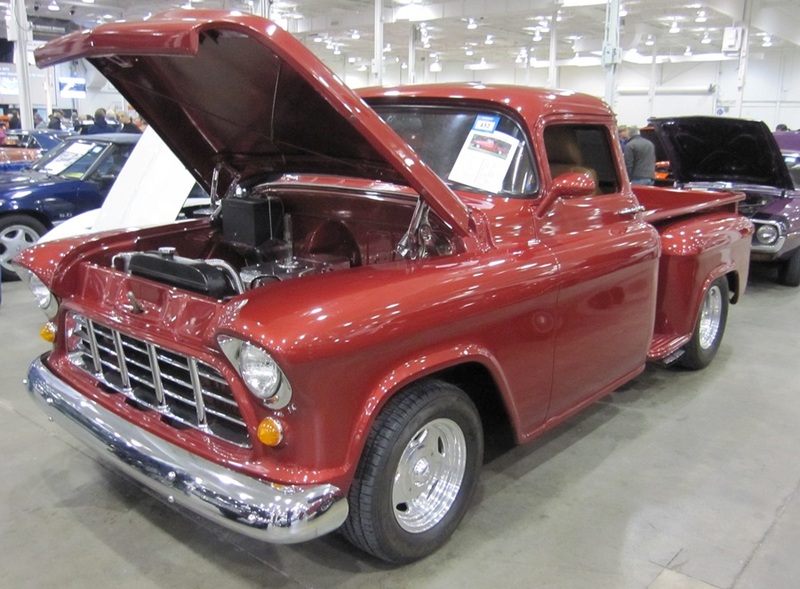 And in spite of the continued turbulent economic times prices were strong overall with the iconic classics still pulling in top dollar on the block. 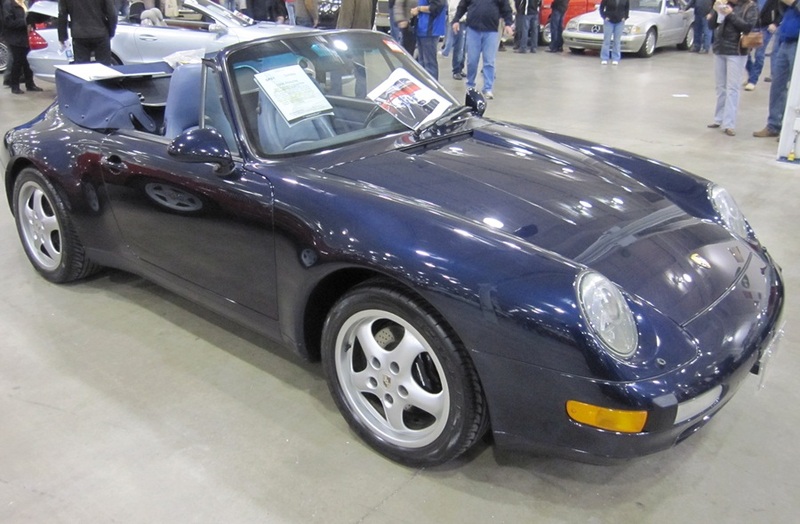 Of course, there are still some great deals found especially within the “no reserve price” vehicles. Here is a glimpse of the inventory to roll up on the block over the three days. 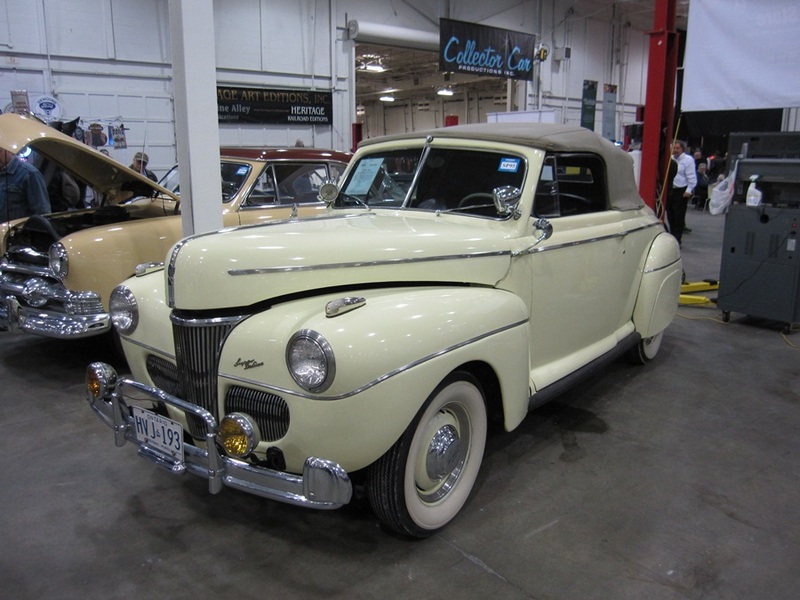 Held twice a year in April and October the Toronto Classic Car Auction continues to be a must attend event for any auto enthusiast. 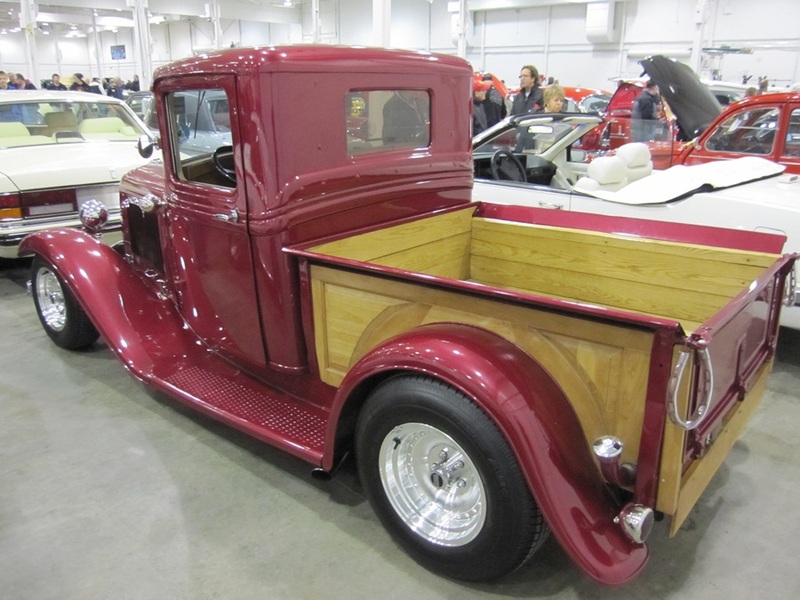 To check out our past coverage see here 2012 Spring and Fall. Today’s post focuses on a wonderful video that profiles the Lamborghini Countach, called When Outrageous Was Possible. Growing up in the 1980s lots of kids had Lamborghini Countach posters on their wall, including yours truly (a white one). At the time the Countach was THE sports car that kids (and adults) aspired to own or drive. One look at a Countach and you knew it was one cool car. When Outrageous Was Possible interviews James Chen, owner of Axis Wheels and current owner of a white Lamborghini Countach. Chen discusses the design of the car and it’s impracticalities such as the scissor doors, the not so great AC, and the tight headroom. However, he also explains why the Countach is so loved, even today, and why a vehicle like the Countach will never be made again. 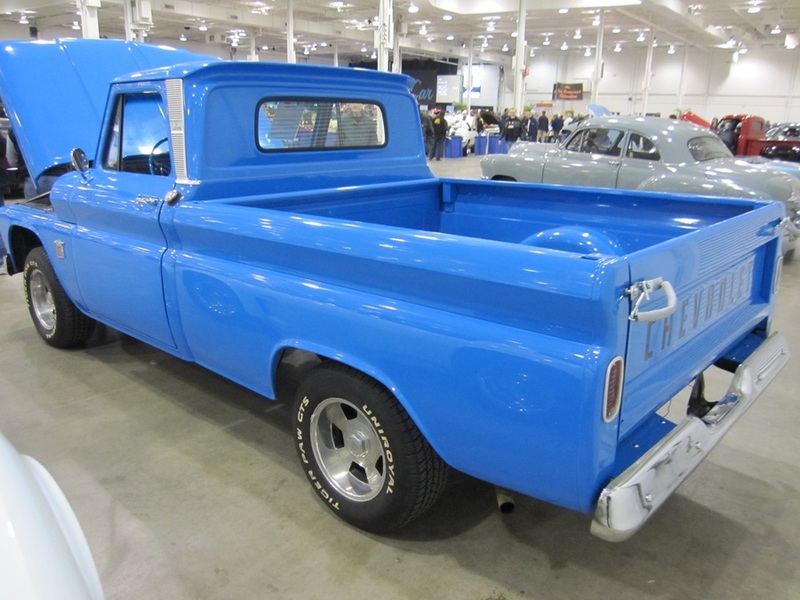 Although the industry as a whole is heading towards smaller vehicles there is still a significant market for large sedans however, the choice today for consumers is somewhat limited. We recently had the opportunity to test out one of these full-size contenders aiming to set itself apart from the rest of the large sedan crowd. 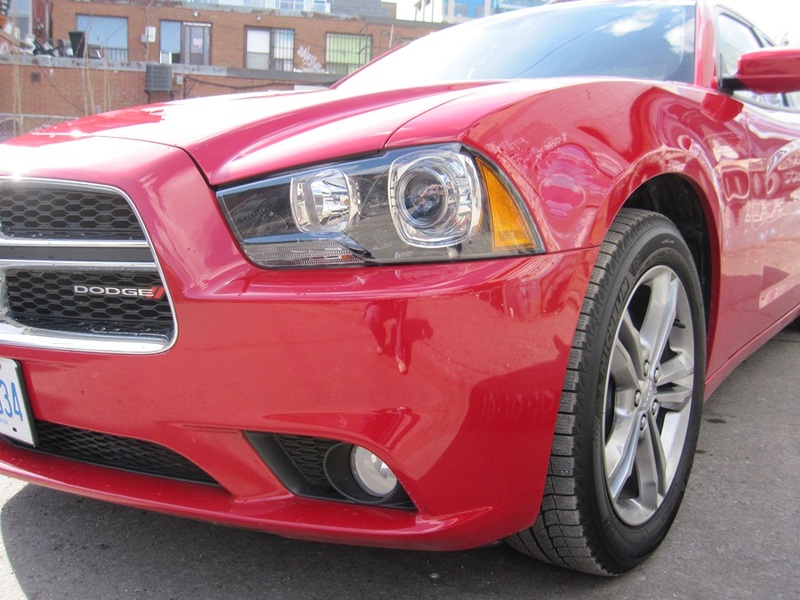 Say hello to Chrysler’s 2013 Dodge Charger AWD SXT model. 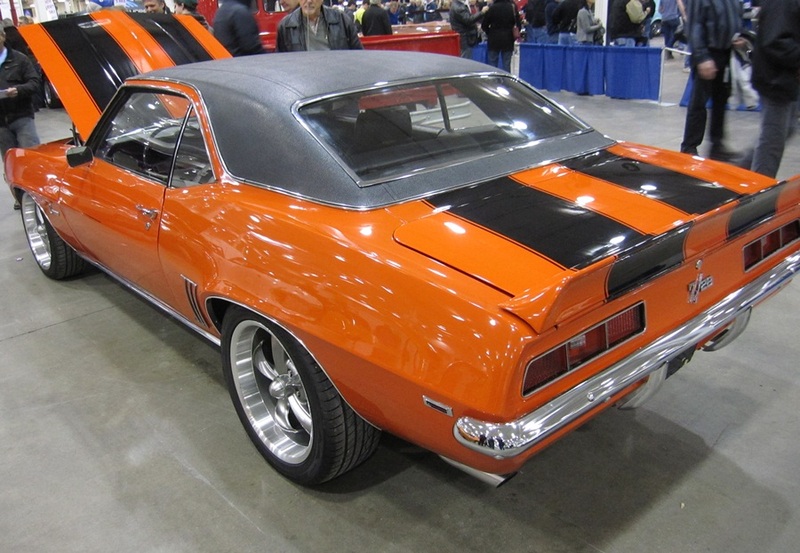 Upon first glance, the aggressive stance and styling remind you of the infamous Dodge Charger muscle cars of the 60s and early 70s. 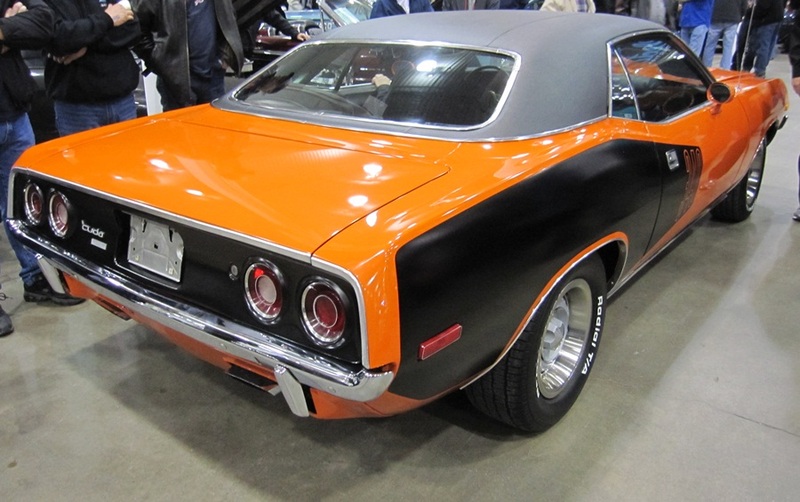 The combination of its mean grill, chiseled hood and doors and unique LED tail light make the Charger stand out from the crowd. 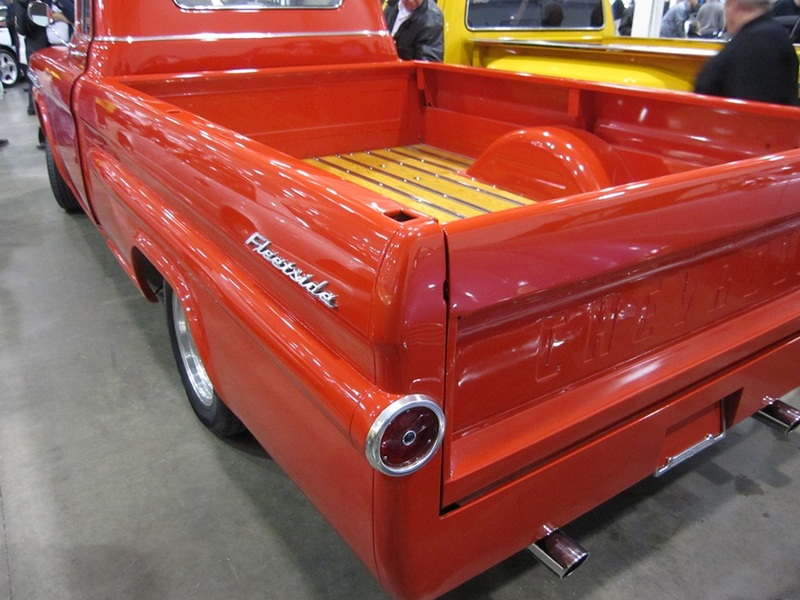 Selfishly, we were very excited about our tester’s “Redline red” paint colour which works well visually with our site. Upon a close up, you can really see why North American police departments are clamouring for the new Chargers for their fleets since it just looks ready to throw down for law enforcement at a moment’s notice. In spite of its large size the 2013 Dodge Charger is surprisingly easy to drive around town, thanks to a very efficient turning radius and solid overall visibility. 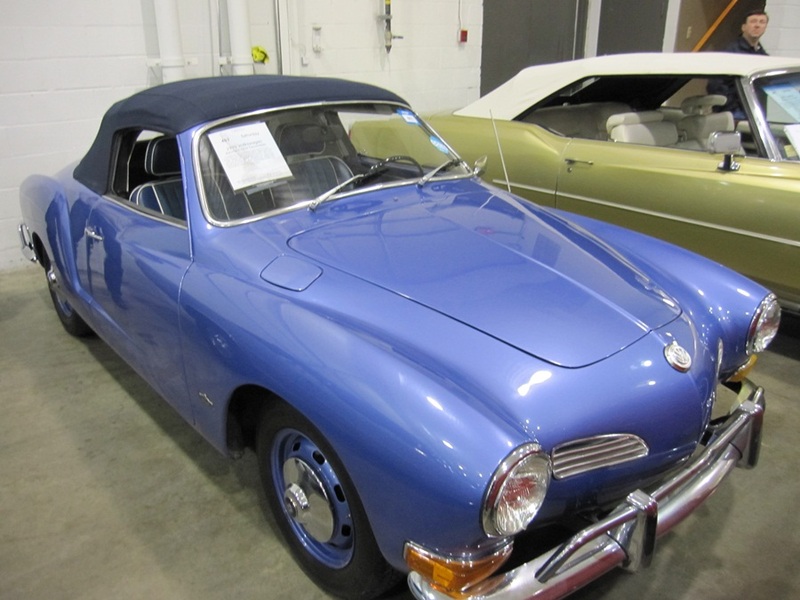 The steering felt great at both slower city speeds and highway speeds, while the suspension easily soaked up Toronto’s abundant spring potholes. 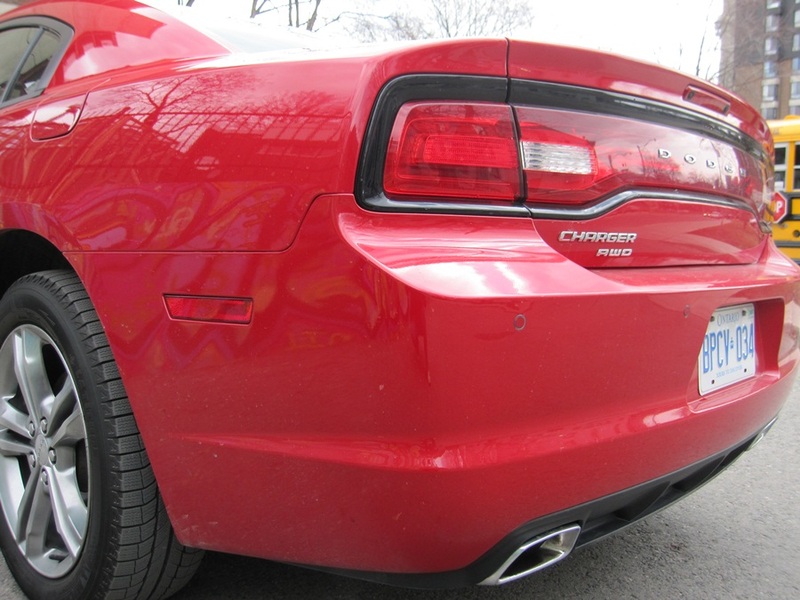 The Charger’s AWD drivetrain provides the added confidence for any type of weather, a truly nice feature to have in Ontario in early Spring. 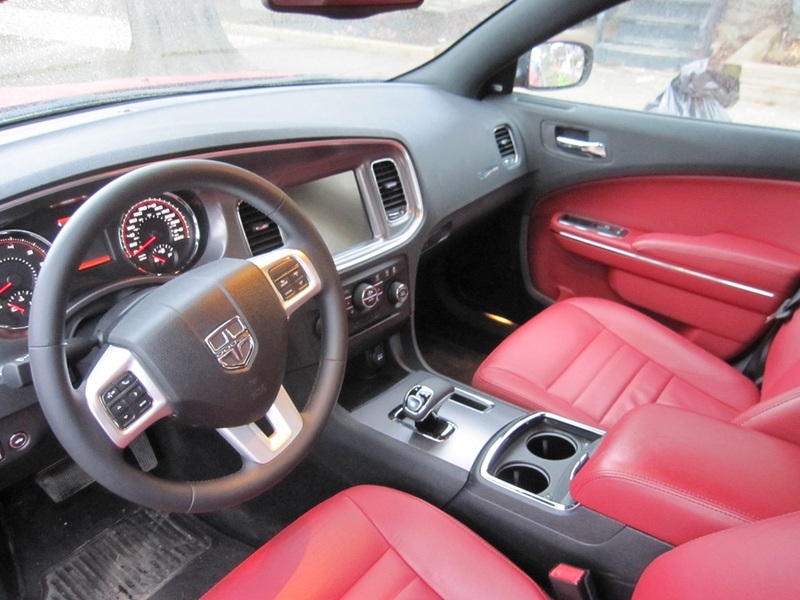 Our 2013 Dodge Charger’s interior came dressed in a sporty red leather upholstery with slick, roomy front bucket seats. One very cool interior feature in the Charger you don’t see everyday is the cooling and/or heating of the centre console cup holders. I mean seriously, how nice is it to keep your Timmy’s coffee warm on a long winter road trip. The dashboard controls came in oversized, easy to adjust rubber-wrapped knobs situated well for both driver and passenger control. Our only criticism is the dashboard’s design and finish is not perfect, yet it does not look “rental” car either. 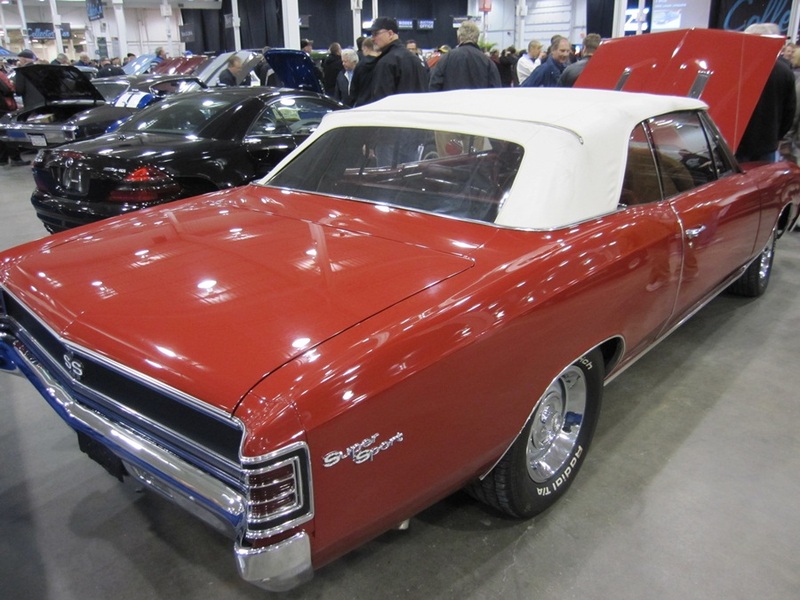 Overall, Chrysler has done a tremendous job to reduce the number of interior assembly pieces, which results in a very quiet and luxurious interior. As for technology, the heart of it all begins with Chrysler’s Uconnect Touch media centre which includes CD/DVD/MP3 capability and navigation. The Uconnect Touch system is well designed with its easy to use 8.4 inch touch screen display while the big icons and buttons make it a snap to use while driving. Compared to some of the other systems we have recently tested it is quite exceptional in both looks and functionality. 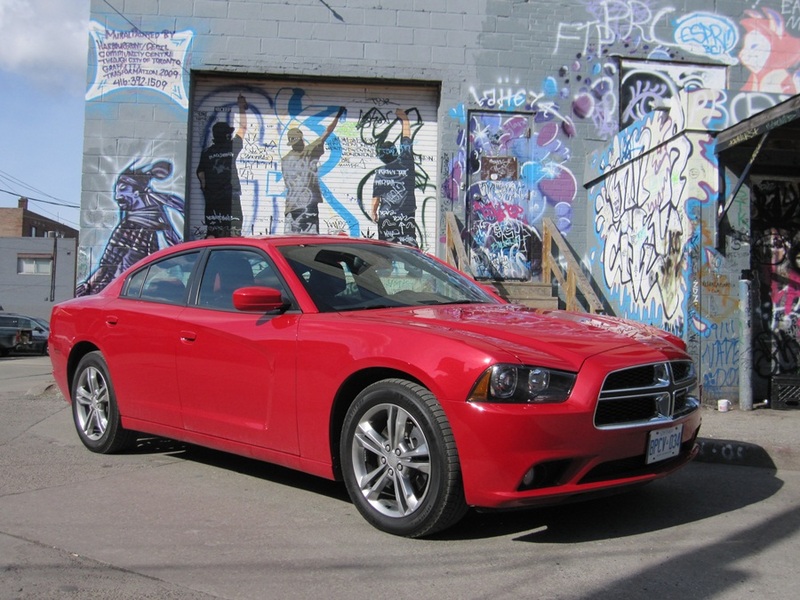 In addition, our Charger SXT model included Bluetooth phone capability, SiriusXM satellite radio and a USB port. The Charger includes all the latest safety features Chrysler offers and it’s a very safe car overall earning five stars in NHTSA crash tests and a Top Safety Pick from the IIHS. Our tester came with a rear back up camera, adaptive cruise control and a very slick blind spot detection system with alert lights inside the side mirrors. In downtown traffic this feature is a bit overwhelming but you get use to it quickly and we saw the real value when we did our highway tests. Since having a second set of eyes is always a good thing when going to pass on the highway. 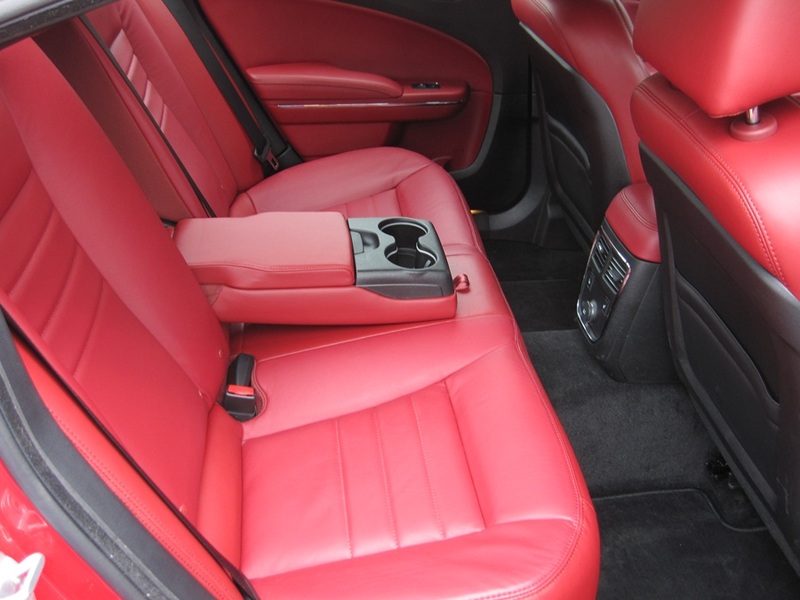 The back seats are equally as plush and roomy as the front seats, however, the transmission hump does take some leg room away for the middle occupant. 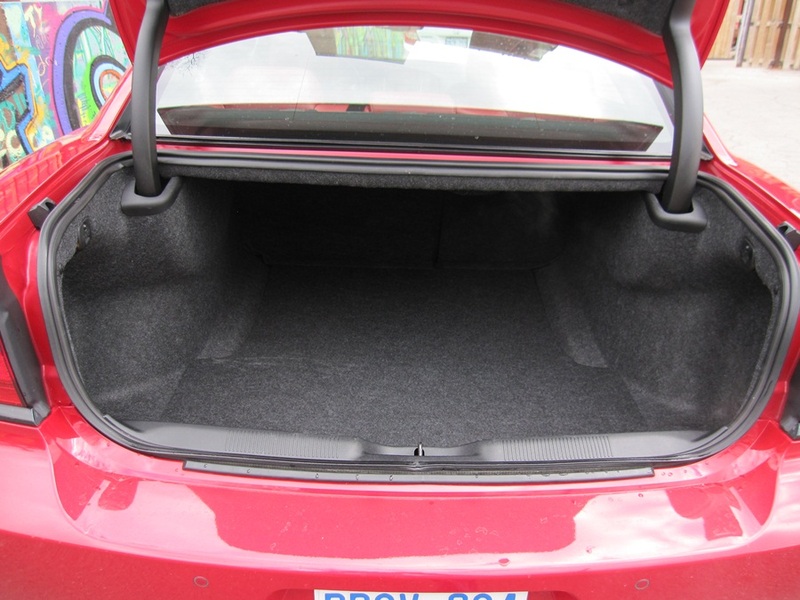 Storage is key for a large sedan and the cavernous 467 liter trunk delivers superior cargo space and includes grocery bag hooks, a nice convenience feature. 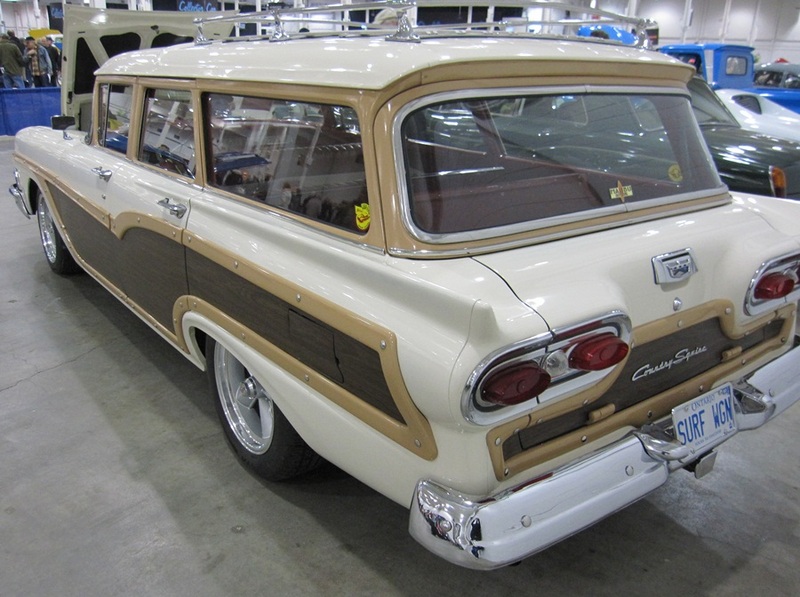 Along with the trunk the rear seats fold flat in a 60/40 style so there is more room than most will ever need for hauling stuff. Overall, we had an absolute blast reviewing the Charger and were actually quite sad to return it to Chrysler headquarters. 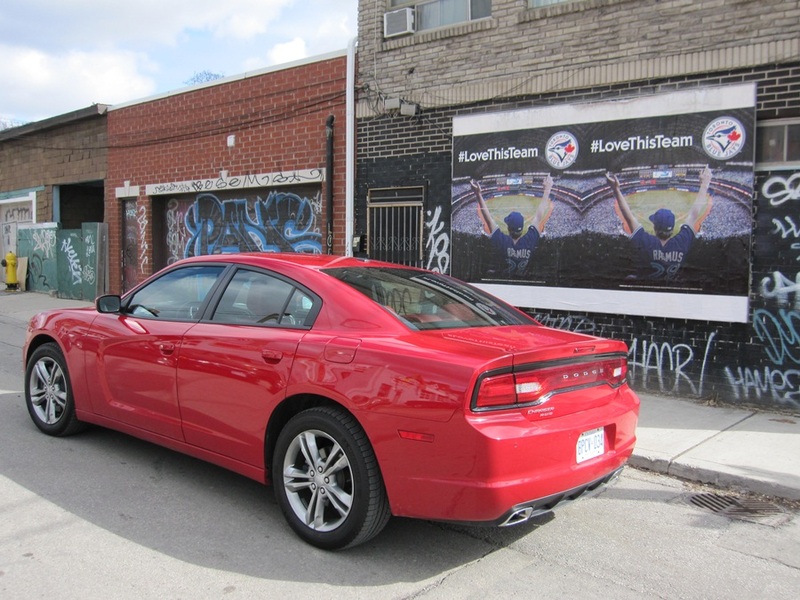 The 2013 Dodge Charger AWD SXT provides consumers with a sporty AWD sedan that rivals luxury sedans priced well beyond its asking ” sticker” price. As well, in 25 years classic car collectors will not be bidding on today’s Accords and Camry’s but will be interested in these Chargers. Of course, for those focused on performance and not on a budget, the top of the line 470-HP $48,845 SRT would be absolutely amazing to have parked in the driveway, however, for most situations the Charger SXT suits perfectly. The SXT’s V6 engine provides ample power and torque for everyday driving and is fun to drive for a family sedan. 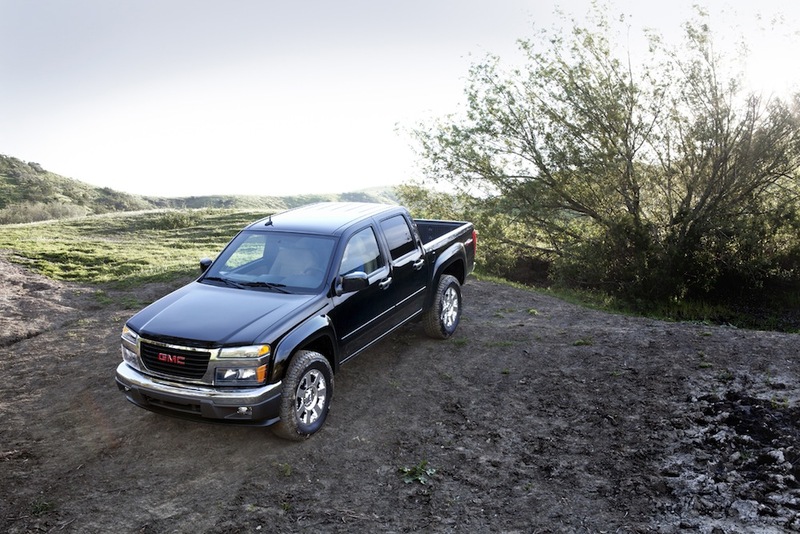 With a zero to 60 MPH time of approx 6.4 seconds range the SXT is one of the faster grocery getters available. 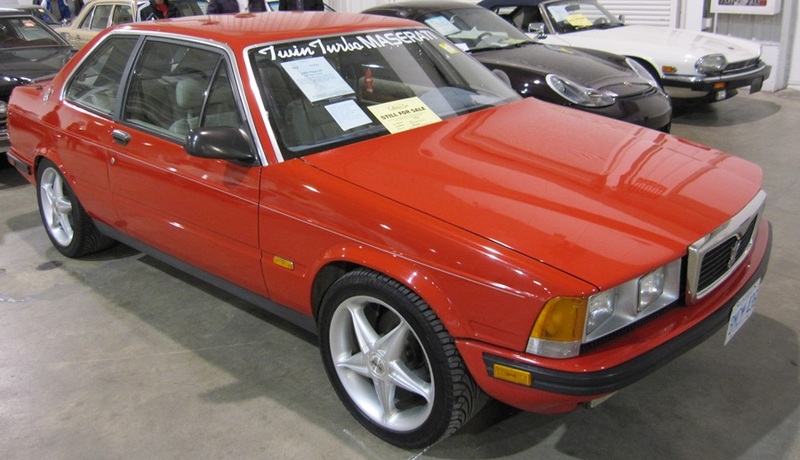 Since it was not that long ago when a 290+ HP family sedan was unheard of in North America further reminding me of all the under powered sedans I grew up driving in the 1990s. Fisker Automotive the maker of the Karma plug-in hybrid electric sports car announced today that it is laying off about 75% of its work force, or about 165 people. This follows the resignation last month of the company founder, Henrik Fisker who started the company along with a partner in 2007. 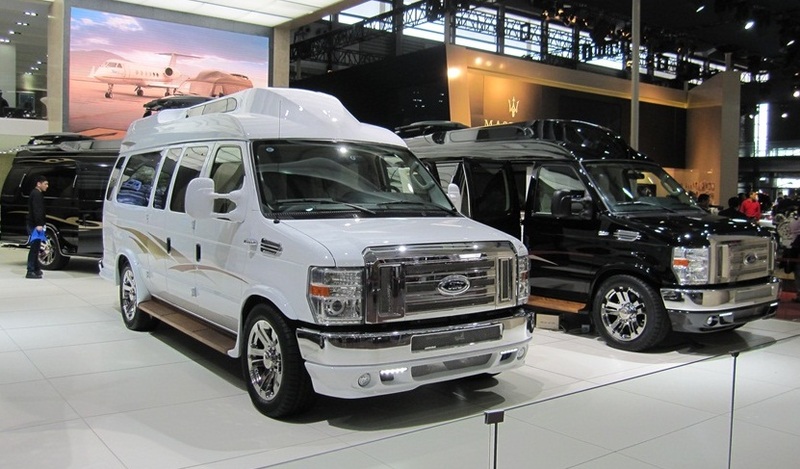 Fisker hasn’t produced a single vehicle since its battery supplier A123 Systems went bankrupt last year and was bought by the Chinese automotive parts manufacturer Wanxiang Group Corporation. Fisker was in talks with the new owners of A123 regarding a new battery contract. Fisker received a $529 million loan from the U.S. Department of Energy in 2011 to help the automaker get started. Today’s announcement casts doubt on the ability of Fisker to pay that loan back. The quality of the Karma, Fisker’s only vehicle, received some negative press over the past year, most notably from Consumer Reports, which complained of some glitches in both the Karma’s hardware and software. 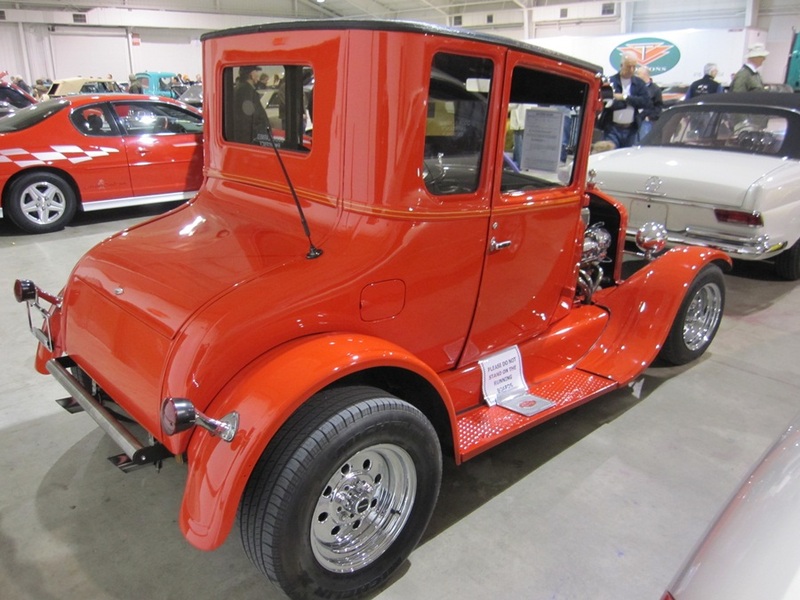 While the long term viability of electric vehicles in the global automotive market remains positive, it’s inevitable that there will be industry consolidation and company failures along the way as the business model of the new generation of electric vehicles matures. 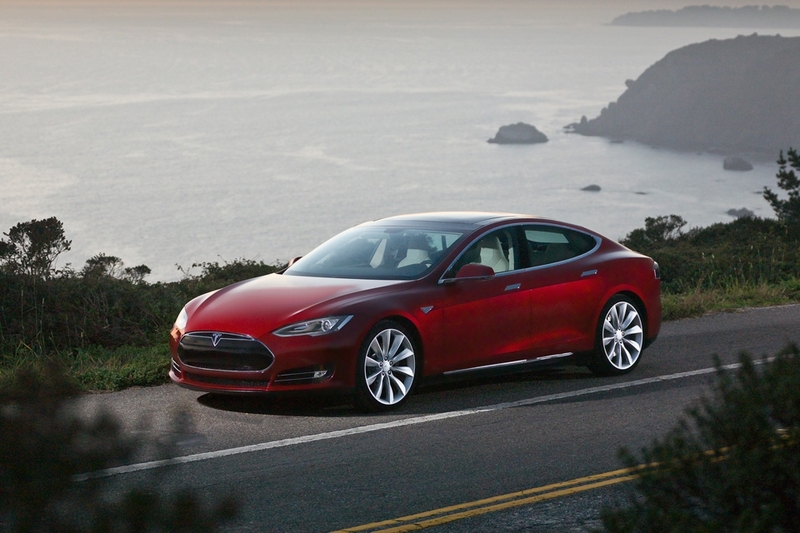 Meanwhile on a more positive note, Tesla Motors, maker of the Model S a pure battery electric vehicle announced on Monday that Model S sales exceeded 4,750 units in the quarter. This is higher than the 4,500 units Tesla had forecast and as a result they expect to turn a profit in the first quarter of this year.